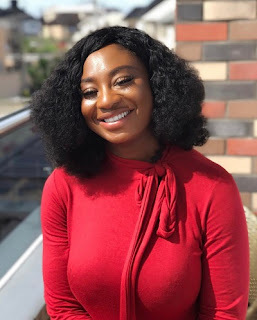 Boobilicious Nollywood actress, Josephine Nwaghanata had a one on one section with mycelebrityandi.com where she opened up on er career as an actress and entrepreneur. Tell us about yourself and where you're from? My name is Josephine Nwaghanata and my close friends call me Jose. Am an Actress and an entrepreneur from Enugwu ukwu in Anambra state, a graduate of theatre art from Lagos state university (LASU). Born and raised in Lagos. When do you start acting and what inspired you? I started acting in my church in 2010. What inspired me was my love for acting. Been in the industry for 7yrs now. What has been mostly criticized about you? The part of your body that you cherish the most? What you will never wear or use? Nothing I don’t limit myself. The day I was bullied in school by a boy. Who are you dreaming of working with? I dream of working with the likes of Genevieve Nnaji, Lilian Esoro, Mercy Johnson, Richard Mofe Damijo, Ramsey Noah and Tyler perry. Coping with advances from Male fans? Be you, Stay focus and Don’t step on toes.